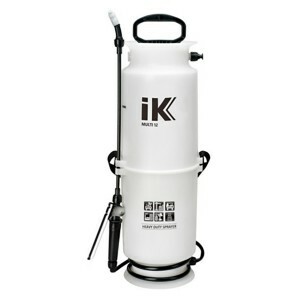 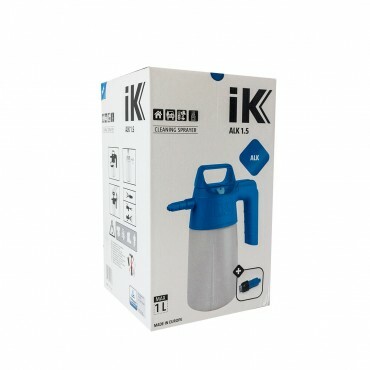 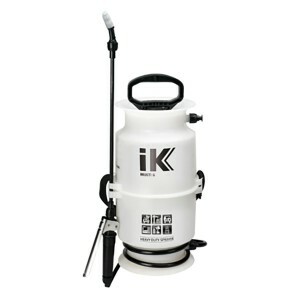 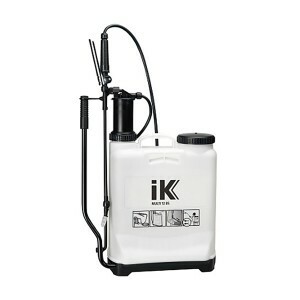 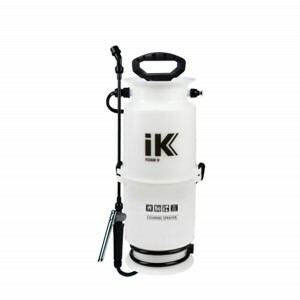 33 oz IK Alkaline 1.5 Handheld Trigger Sprayer - See Sales Price in Cart! 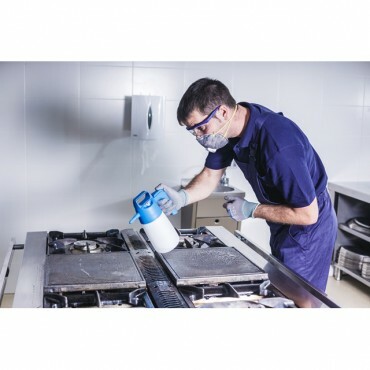 All plastic parts and washers resistant to alkaline, alcohol and acetone substances and most chemical agents used in the world of cleaning and disinfection. 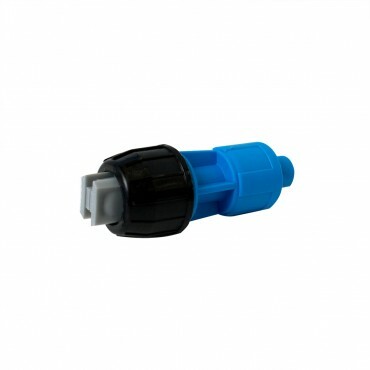 - 2.5 bar safety valve with depressurization option. - Large opening for easy filling and cleaning. 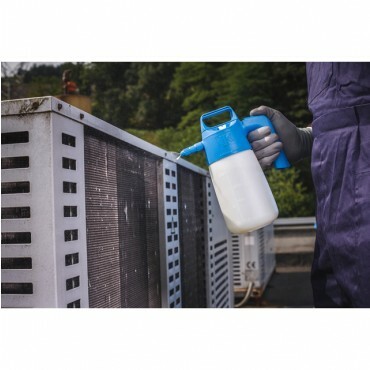 - Protective sleeve for valve chamber. 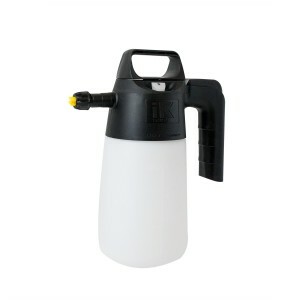 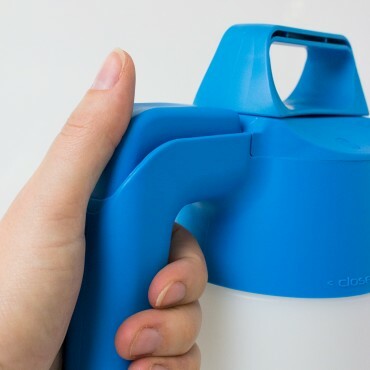 - Supplied with adjustable cone spray nozzle and even fan spray nozzle. 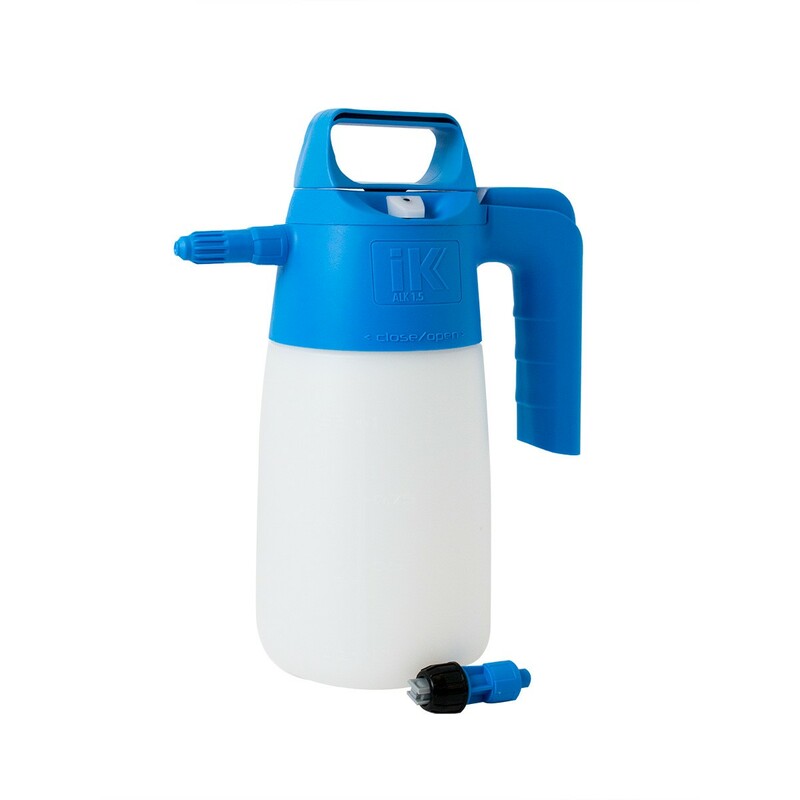 Option of fitting other types of nozzles and accessories. 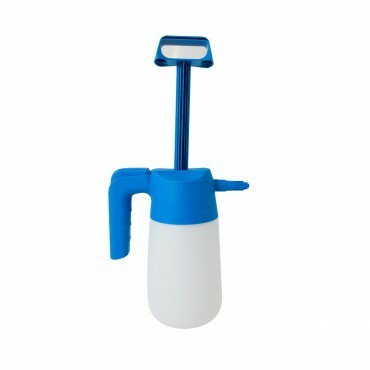 - Gross weight: 0.60 Kg - 1.32 lbs. 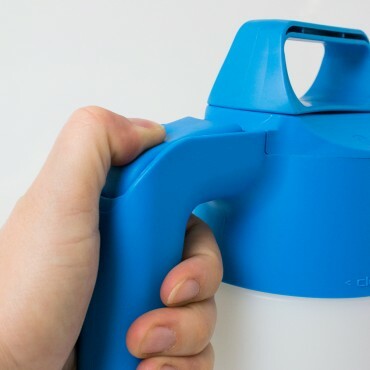 - Net weight: 0.46 Kg - 1.02 lbs.